Fickle Feline: photo essay: walk now for autism 2011. Every year since Max was diagnosed with autism, we have participated in the Walk Now For Autism in Toronto. 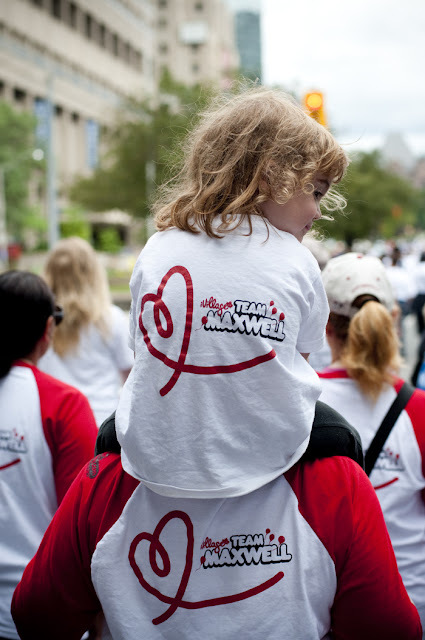 This was the third year that Team Maxwell walked (check out 2010 and 2009 as well). It has become a very important event for me, as I believe it is important to "show up" and be part of the greater autism movement. It is important for me to see that my family is not the only family battling autism. It is important for me to feel the energy of this community coming together for something positive. 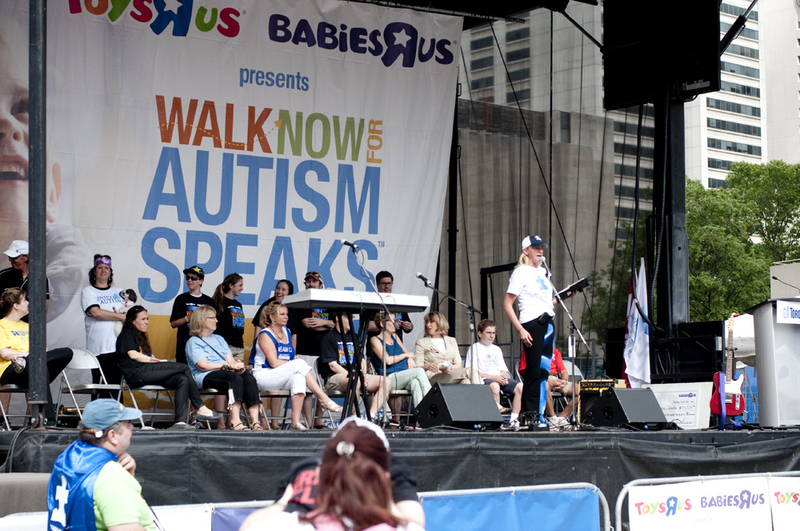 During the opening ceremony, Suzanne Lanthier, Executive Director of Autism Speaks Canada, spoke of all of the important work and ground breaking research that is being done to unlock the puzzle of autism (especially here in Canada). She said that the researchers are why we work so hard to raise money, they are the "celebrities" of the cause. 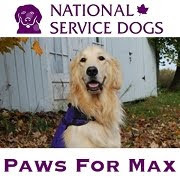 While I agree that researchers should be applauded, the reason I personally work hard to raise money and awareness is because of Max. 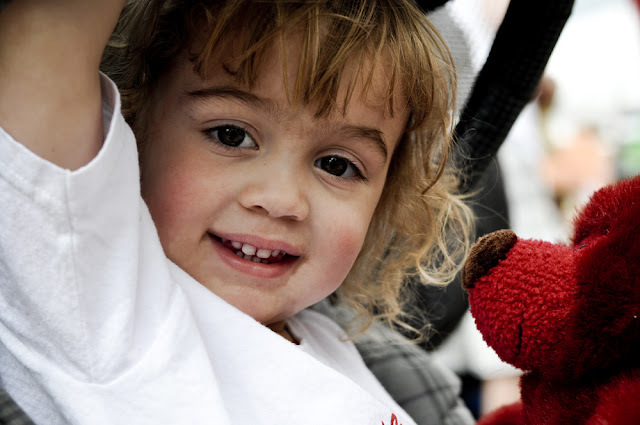 The kids who have autism are the rock stars in my books. When people sponsor Team Maxwell, they are doing so because he inspires them, and they want to support him. Turns out, Max was very sick this morning, so he and Scott were unable to attend the walk. Nana was down and out too, so Cam, Bumpa and I had to represent the Carefoot Crew. We held it down. It means a lot to me when our friends and family come out and join us on the walk. I also truly appreciate everyone's good wishes and donations. 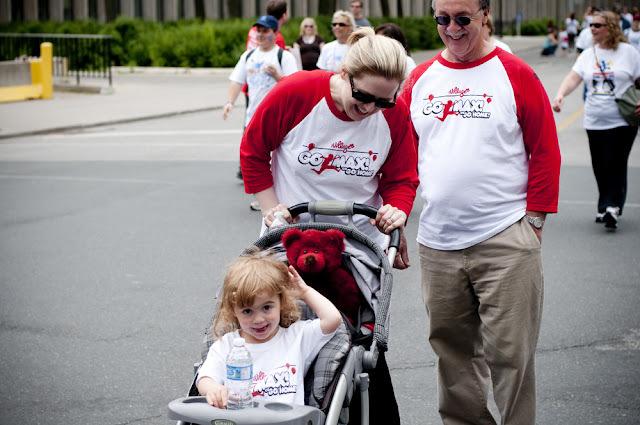 As of today, Team Maxwell has raised $3200 for the 2011 walk, and there are still some donations coming! 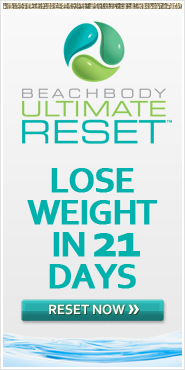 I am willing to bet we will break $3500 once all of the donations come in. 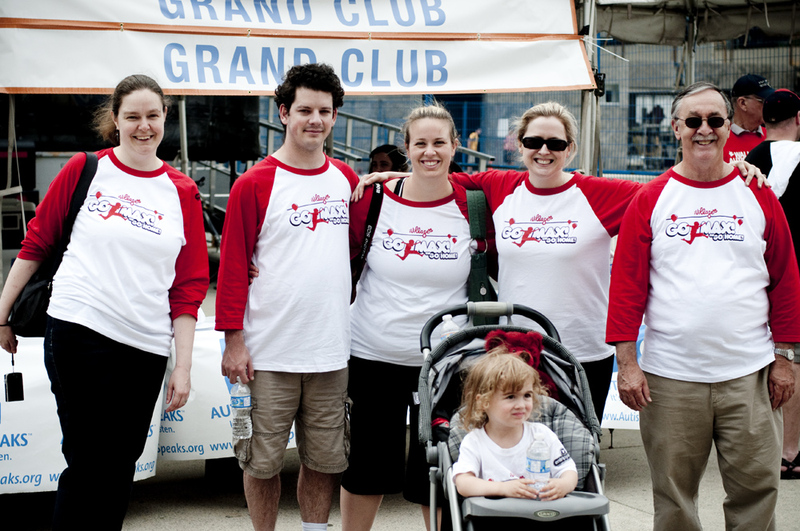 In the past three years Team Maxwell has raised over $10,000 for autism research. You may have noticed that there are a lot of photos of Cameron. Christopherr has a soft spot for Cam and she *may* have stolen the show. She is pretty cute, I can't blame him. Plus, with Max being unavailable, she had to exude twice the cuteness to make up for his absence! This is a incomplete photo of Team Maxwell (some of our team members were tough to wrangle when it came time to say cheese). 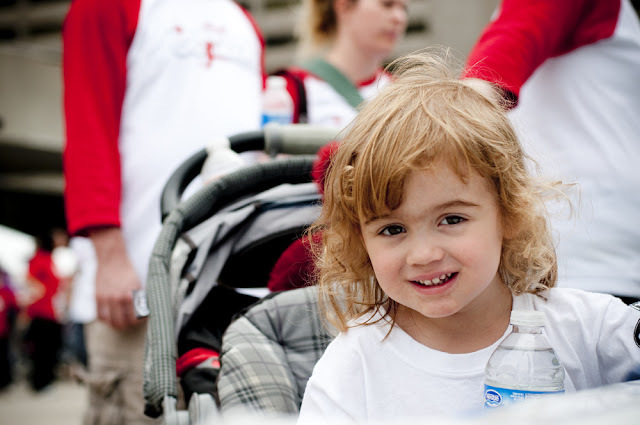 Thanks to everyone for your support and for making this year's walk such a success! This is our third year in the Grand Club as top fundraisers and I couldn't be more proud! If you weren't able to donate, but still want to do so, the donation site is still up! Thank you for throwing your support behind Team Maxwell! You are all truly magnificent! So proud of you! 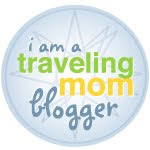 You should be proud of your accomplishment on behalf of your child. I do have a difficult question, however. How do you deal with the fact that autism speaks is so offensive to many autistic adults (me included).